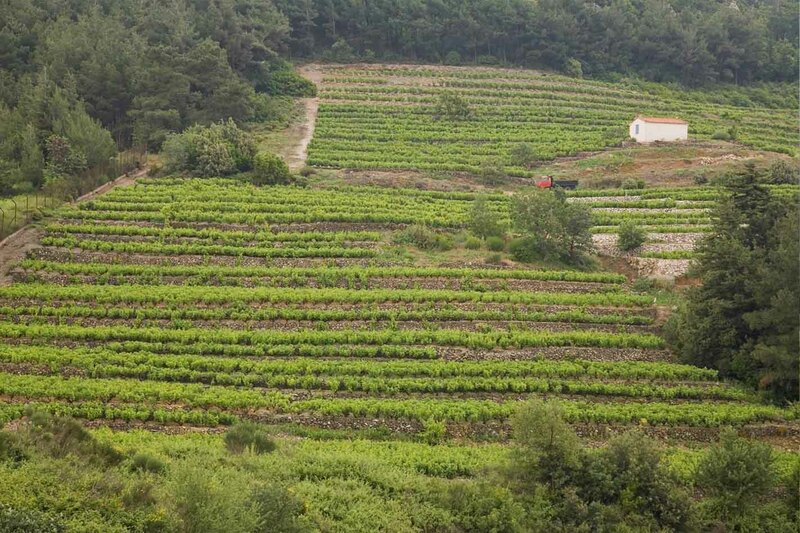 The area of cultivated vineyards in Samos is about 1.400 hectares. 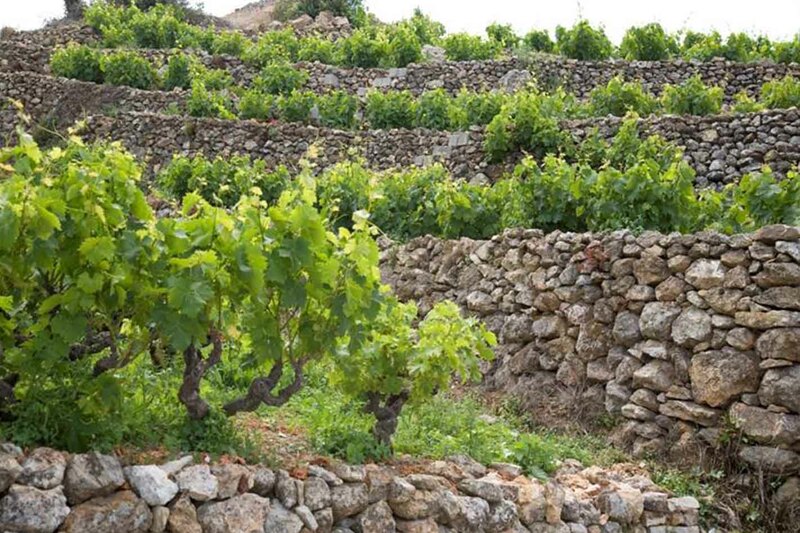 More than 98% of these vineyards are White Samos Muscat, a small-berried variety which is considered the noblest clone of the large family of muscats. This is the grape that produces the excellent quality sweet wines with a Protecetd Designation of Origin “SAMOS”. The vineyards are semi-mountainous and mountainous with moderate fertility soil. 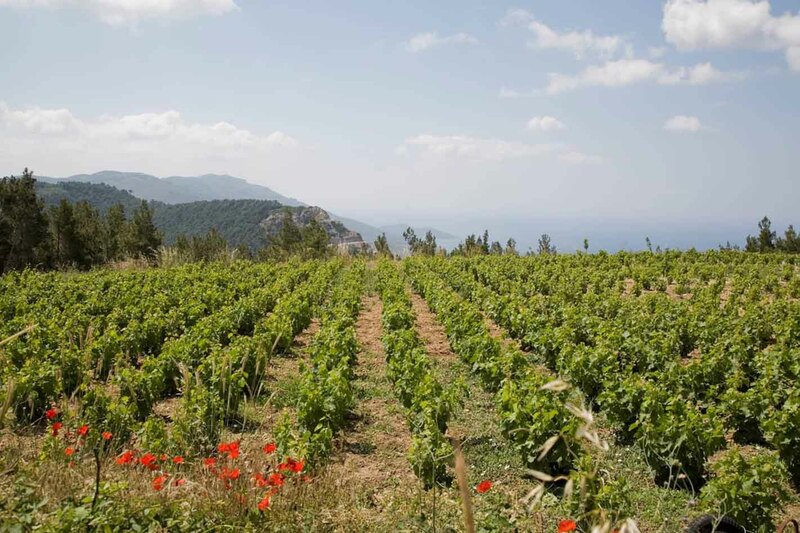 They are not irrigated; the vines are cup shaped and spread out all over Samos, but mainly on the slopes of Mount Ampelos, at an altitude of up to 900 meters. 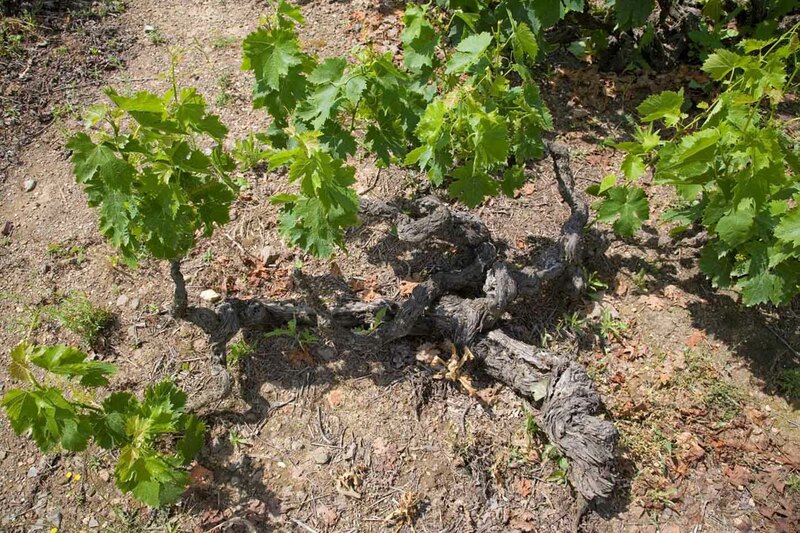 The average age of the vineyards is 30 years, but there are also vineyards which are even older, more than 100 years old. 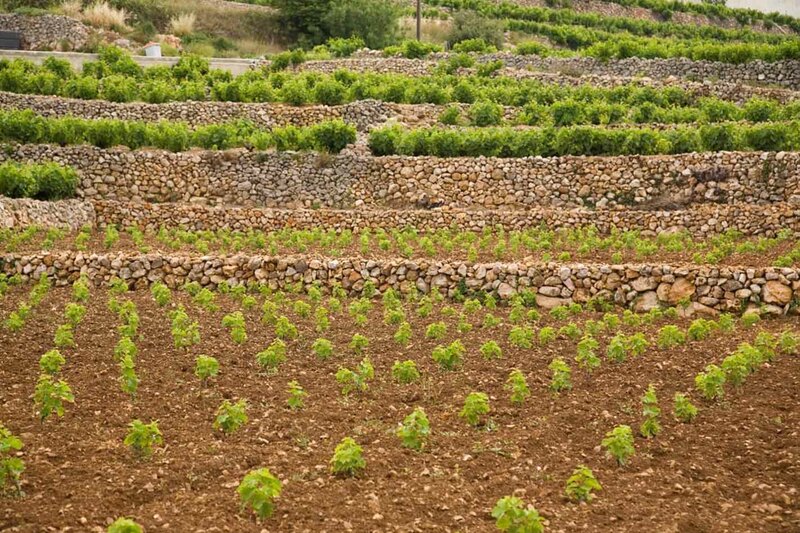 The muscat grape is grown on “terraces” (ancestral dry-stone terraces) built to hold and drain the precious soil, creating successive narrow stripes of land. In some cases, they are so narrow that only one series of vines can be found. The yields are small and do not exceed 10.000 kgs per hectare. The excellent soil (gravel, schistolithic and with very good drainage ) combined with the microclimate favorable to vinegrowing, along with the beneficial effect of the sea breeze, allow the grapes to mature gradually, giving them a special aromatic character and high sugars content that characterize the variety. The acidic PH and the rich metallic elements create a very balanced result. Annual production reaches approximately 5.000 tons of wine. In Samos, the White Muscat grape reigns king. Also known as the Muscat blanc à petits grains in Greece it sometimes goes by the name of moschoudi. This is a noble variety fairly popular around the Mediterranean basin and widely planted in other parts of Greece, as well. 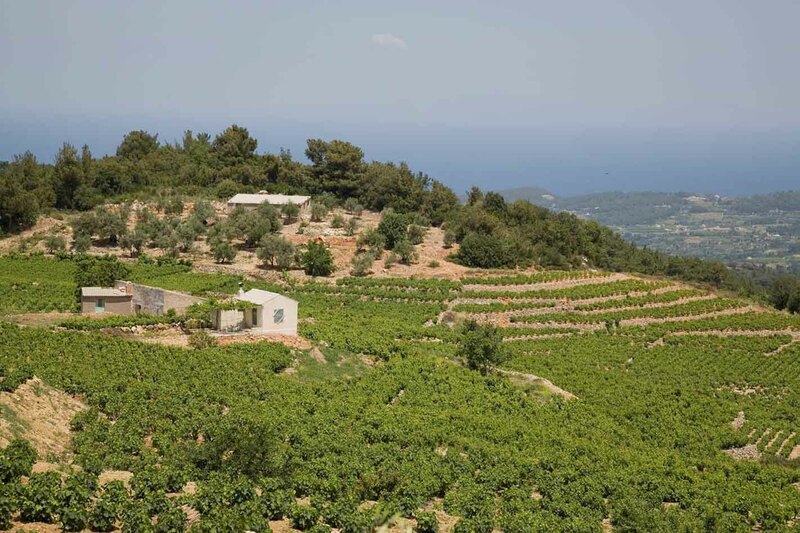 However, only in Samos does it produce the fat, luscious wines for which the island is known. The White Muscat grape covers about 98% of Samos’ vineyards. The remaining is shared by red grape varietals like Ritino, Fokiano and Avgoustiatis.